TWO handcrafted new welcome signs have been unveiled at one village. 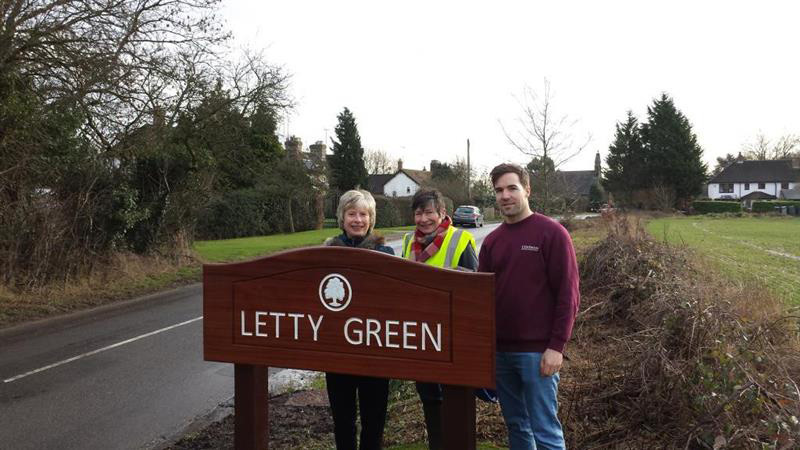 Entry signs to match those at Cole Green, Birch Green and Staines Green have been unveiled at Letty Green following a petition. Resident Wendy Hampton had asked Hertingfordbury Parish Council for new signs to match those of other villages in the Five Greens which make up Hertingfordbury parish. Cole Green, Birch Green and Staines Green had new signs erected when the A414 was diverted 30 years ago. The signs were handcrafted by Chapman Bespoke Woodwork of Hertford and part funded by a locality grant from Hertfordshire County Council.